A group of local startups and global tech giants, including Atlassian, Airbnb and LinkedIn, have offered support for a new not-for-profit organisation that aims to “turn Sydney into Australia’s Silicon Valley”. The new group, called TechSydney, will work to promote collaboration in Sydney’s innovation ecosystem, according to a statement. Of concern to the founders was that, despite efforts from major tech companies, startups and government to improve the country’s startup ecosystems, Sydney’s global startup ecosystem ranking dropped last year from 12th place in 2012 to 16th place. While all of these groups were working towards a common goal, the statement said, “they tackled it in isolation, limiting their impact and ability to change the sector for the better and there was no organisation focused on Sydney”. 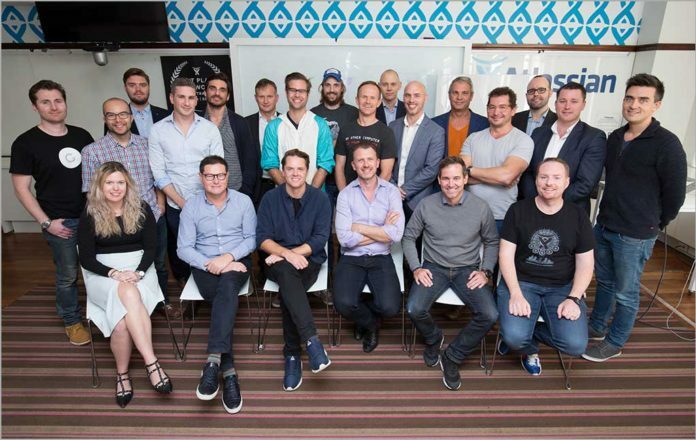 To address the situation, entrepreneurs Dean McEvoy (Spreets), Mick Liubinskas (muru-D), Kim Heras (25fifteen), Riley Batchelor (tidyme) and Gen George (OneShift) decided to form TechSydney as a focus point for the local innovation sector. The scheme has already received support from major Australian tech firms including: Atlassian, Tyro, Canva, Airbnb, Prospa, LinkedIn, Airtree Ventures, Reinventure, Blackbird Ventures and more than 30 other companies. TechSydney said it will focus on three main objectives in order to improve the ecosystem. Firstly, it will create a hub for Australia’s startup talent in the style of California’s Silicon Valley. Secondly, it will aim to attract “world-class startup talent” to Sydney. And thirdly, it plans to promote working for startups as a “viable” career path, and, as a result, bring more women into startups and technology. TechSydney will further serve as an organising body and a point of contact for the Sydney startup sector; will connect Sydney’s startup sector, government and large tech firms; and will promote Sydney and Australia’s startup sector at home and internationally. “I’ve been consistently bowled over by the talent I see in Sydney, this city has incredible potential and with the strength of TechSydney behind it, we could see exponential growth in the next 10 years,” said Annie Parker, co-founder, muru-D.
TechSydney said it will mark its official launch at an invitation-only dinner on 30 May at the Powerhouse, with Sydney’s top 200 technology companies attending. While the first 100 attendees have already been invited, the group is taking applications for the second 100, and is calling on companies to register their interest. If Atlassian couldn’t save the technology park from being demolished for housing for commonwealth bank and Mirvac. Due to the fact all Liberal tenders happen behind closed doors with a bribe. Then it is clear the Liberals will treat them with contempt. How are they supposed to push through the crap to get cheap rents because of criminal bribing developers and access to fibre internet because of the Liberals Murdoch protection rackets ? The economic vandal Liberals will have to be kicked out to clear all bribing donor defending intentional sabotage and interference before anything can happen. I mean infrastructure will have to be in place first. One cannot function on faulty telephone lines, HFC doesn’t even have a business SLA let alone adequate either as it can go down at any time for days or weeks. And enterprise fibre internet would have to be shared if they are lucky to get that. Current rent conditions are unsustainable and business killers especially during R&D cycles where no income is generated. All thanks to the Liberals and their bribing developer donor housing rackets and smashing up the place fully unchecked. Perhaps if they bribe them things might be different as that is the only way to deal with these fascist mafia thugs. > Firstly, it will create a hub for Australia’s startup talent in the style of California’s Silicon Valley. Having working in many start ups in the valley and seen a few here in Sydney (among other cities) there is no comparison. The compensation far out paces what is available in Australia. Healthcare benefits (this usually includes vision and dental) offered by most all American companies (not just tech as a result of the US’s health care system) are better than what AU govt medicare can provide. Company perks such as free food, nice equipment, flextime, gym memberships, and the like are not uncommon amongst tech companies in the valley. > Secondly, it will aim to attract “world-class startup talent” to Sydney. Consider the falling AUD against the USD any talented developer without ties here is better off, financially speaking, going to the US be it SF, Austin, Colorado, or any other tech hub. Add on top of that the fact that tech salaries are generally lower than what can be attained in any of the cities previously listed and the US is much better for said talent.